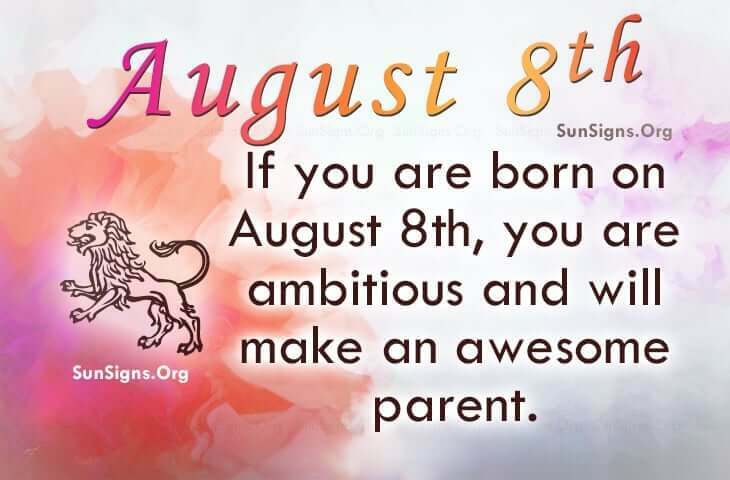 Famous people born on AUGUST 8 keep everything in order. Professionally and personally, they like having things done a certain way. Having priorities and insight, they can do more in a day than most people. They make it look easy. Having the best in life is certainly important to August 8 famous celebrities as they naturally pick the most expensive item there is. It’s okay because they work for everything they own. However, famous people born on August 8 can be a little narcissistic at times. They tend to understand people but expect way too much from us humans. Their family and your friends would say that they care a lot about them. Their children may feel that they are special too as they take the time to teach them things that will only make them a desirable and productive adult. When it comes to their career, as long as they feel that they are accomplishing something, perhaps making the world a better place, they’re happy. We could see someone like you in the courtroom standing for justice and equality. Famous personalities born on AUGUST 8th are admired by people. However, they should let people be themselves as they are not the only one with exceptional abilities. Normally, they are ambitious and will make an awesome parent. Family is important to them and so is education.